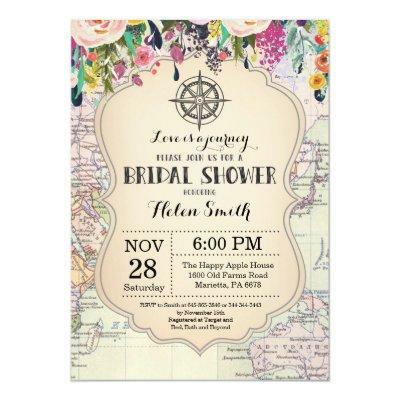 Travel Bridal Shower Invitation. Floral Bridal Shower Invitation. World Map. Floral Flower. Love is a Journey. Wedding Shower. For further customization, please click the "Customize it" button and use our design tool to modify this template.